Traditionally, coffee merchandisers consist of bulky, utilitarian cabinets. 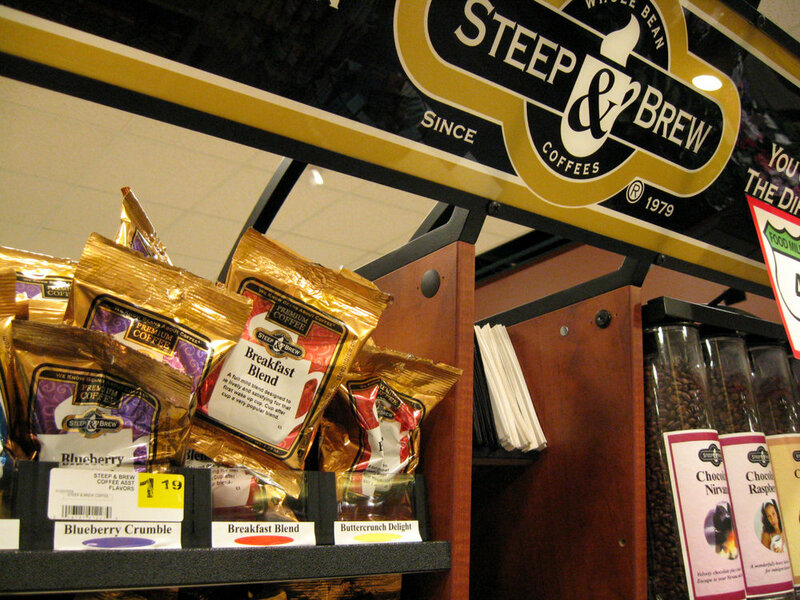 Steep & Brew of Madison, Wisconsin, required a customized version that would be both modern and modular in its design. The resulting product designed and made by Hoffman Manufacturing Corporation, also of Madison, can be knocked down and conveniently carried in the back of a salesperson’s vehicle with no assistance required at set up. The light-weight concept is inherently as well as economically attractive, with convenient features like a tamper-proof bar across the bulk bins appealing to both customer and seller. 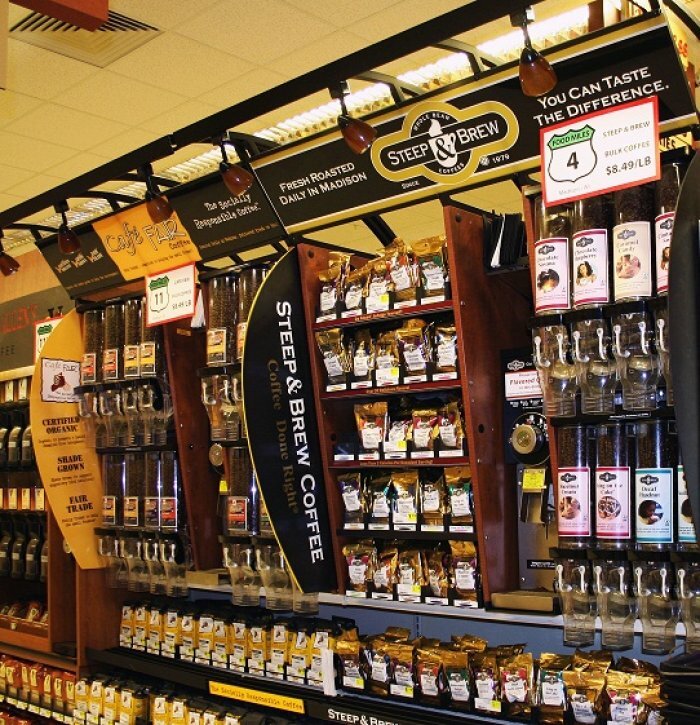 The unique design of this merchandiser provides a premium shopping experience to buyers within the grocery aisle, directly translating to increased sales of Steep & Brew products since the display’s introduction.